Have you ever taken an e-learning course where things didn’t flow smoothly? Perhaps items just randomly popped onto the screen or text disappeared before you had time to read it, or maybe there were just too many objects on the screen at once, leaving you unsure of where to look. These are all issues that can be improved or even fixed altogether by using proper timing and animations in your Storyline 2 courses. To adjust the timing, simply move objects on the timeline panel. To add animations, which include entrance and exit animations, motion paths, and transitions, simply select an object, slide, or layer and apply the desired effect from the animation or transition tab. These are both easy to do—so why does it seem like a lot of people skip these vital steps? 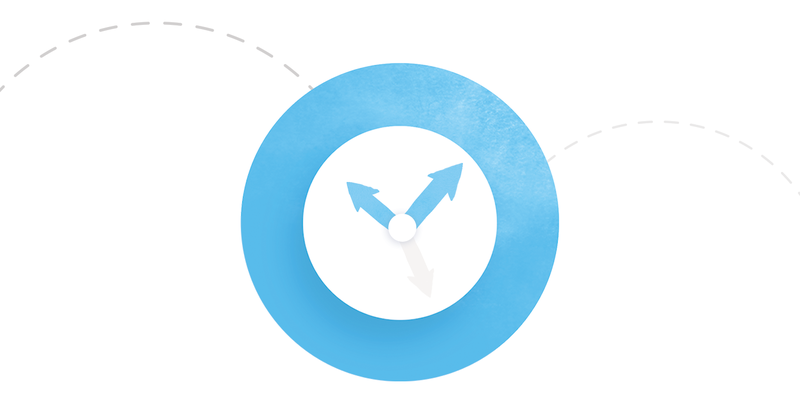 Take a look at how simple timing tweaks and animations can transform an e-learning course. The version without animations feels quick and choppy: there’s a lot of text on those slides and I’m not always sure where to look first when a new slide comes up. The content flows a lot more smoothly in the version with the animations and transitions: the on-screen objects appear in a more digestible manner, which makes it easy for the learner to absorb what’s being presented. As you can see, controlling the order and duration of objects impacts the learning experience. Instead of dumping all of your content on your learner at once for them to sort, take control of the learning experience by specifying the order in which objects appear. Certain things have a natural order of appearance: would you start by showing a heading or the body text? Heading, of course. Another reason for using animations is a smoother learner experience. If you don’t use animations, your objects will just appear on-screen suddenly, which can feel jarring. Applying animations makes the content appear in a more controlled and fluid fashion for a better visual experience. Take a look at the following example to see how the same slide looks without any timing adjustments or animations, then with timing adjustments only, and finally with both. Notice how much smoother it is when timing and animations are added? Don’t mix and match too many types of animations. Choose one or two and use those types consistently throughout your project. If you’re using a “fade” transition on your slides, then do so consistently. Don’t do a fade, then a grow, then an uncover, in any random order. It’s neither cohesive nor professional. But you can jazz up the same type of animation by having it enter from different sides of the slide if you really want to add some diversity. You should also be consistent about which animations you apply to what objects, as well as the duration of the animations. And remember to use the animation painter to quickly duplicate an animation effect from one object to another to save yourself development time once you’ve got your animation working just perfectly on an object. Remember to use animations sparingly and carefully. You don’t want to overwhelm your learner with on-screen movement, so don’t get carried away. And while it can be fun to get a bit wild and use the grow and spin animation types, remember that the type of animations you use should work with your content and audience. If you’re building a serious accounting course for professionals who are taking an exam, using the bounce and swivel options might not complement your course. My go-to animation favorites are fly in and fade in. I also love the fade as a go-to transition. And don’t forget that you can apply transitions not only to your slide, but to each slide layer. If you have multiple items that you want to have come in at the same time, consider grouping the objects and applying one animation to the group instead of applying an animation to each individual object. Remember to make sure you have the group itself selected when you apply the animation, and not an object within the group, or things can get a bit confusing. If you’re adjusting the timing and animations for your slides, you ought to consider how the slide looks when a learner revisits it. Do you want to make the learner sit through the animations and content one object at a time again? Personally, I don’t like to make the learner sit through all of the animations and timing of the content a second time, since they’ve already been through it once and are likely going back to review or clarify some previous information and just want to go through quickly. Luckily, you can easily adjust this option for slides and layers. Simply pop into the slide or layer properties window and adjust the option under the “When Revisiting” drop-down menu. It will be set to “Automatically Decide” by default, but you can change it to either “Reset to initial state” or “Resume saved state.” Select the latter if you don’t want to make learners sit through all the animations again. Those are just a few of my top tips for working with timing and animations in Storyline 2. Hopefully those examples really help to highlight the enhanced learning experience when viewing a course or slide that has animations and timing all fleshed out. Do you have any tips or tricks of your own for working with the timeline and animations or transitions? If you do, leave me a comment below to let me know. Thanks for animation demos and tips, some good stuff there. Not so sure I would agree though that animations are really necessary on some of these screens. For example when you're displaying the course objectives does the user really want to wait for them to be unveiled one at a time? I think this can cause user frustration leading to over clicking, potentially leading to screen freeze. So, personally I would advocate keeping animations to a minimum. Thank you Nicole, great article and tips as usual! Happy New Year! Wow, this couldn't come at a better time, thanks! So glad you found this helpful, Angela! Excellent info, Nicole. To me, on-screen animation makes a big difference and certainly makes any course seem more professional. I do see Chris' point though. I've actually received feedback from learners advocating both sides. Some people have said that they loved the narration and easy to follow information presentation style (animation) in a course. Others have said that they wished they could have just been provided with the content, and didn't have to wait for the narration and builds - - - for the same course! I've learned that you can't please everyone, but still want to try to put forth the information in a format that MOST people will like - - - and get the greatest benefit from. Thank you for showing the comparison between with and without animations. This is very helpful for the beginners like me.